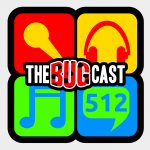 This week on The Bugcast: Spectrum designer dies, crowdfunder smashed, new mixer (for food, not sound), plus we play 8 amazing tracks of Creative Commons music! What is cchits.net, and why are we voting for it? The next show will be episode 513, which will be streamed live in the chatroom on Friday 11 May 2018 at 21:30-ish UK time (BST/GDT/UTC+1).